Neal Cramer received an undergraduate degree from Duquesne University and a law degree from the Dickinson School of Law. Upon graduation from law school, he served two years in the U.S. Army as an officer in the Military Police Corps. After completing his military service, Mr. Cramer returned to Pittsburgh and began a general practice with Bolte & McKay, which eventually evolved into Jubelirer, Pass & Intrieri. On the labor side, Mr. Cramer has concentrated on the representation of fringe benefit funds and ERISA compliance and litigation work. 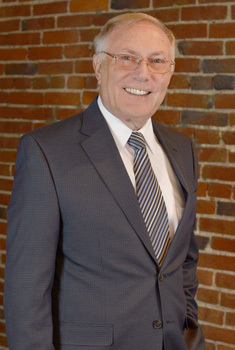 He also specializes in estate planning and tax work, estate administration, real estate and general civil practice and litigation. In his free time, Mr. Cramer enjoys golf and jogging. He and his wife have two adult sons and one granddaughter.